Here is a list of Best Free Human Resource Management Software. These human resource management programs let you manage employee data easily. These save a lot of time and paper work by providing a fast, secure, and convenient solution for the HR Management work. Most of these programs can be installed on your server, and can be accessed via browser. 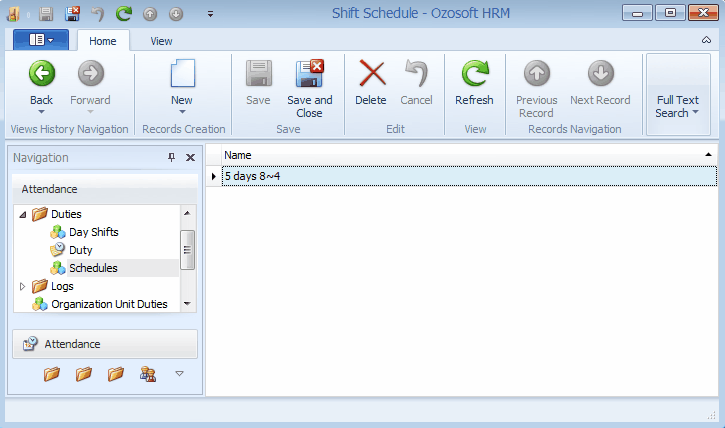 So, employees throughout the organization can access free HRMS software online. 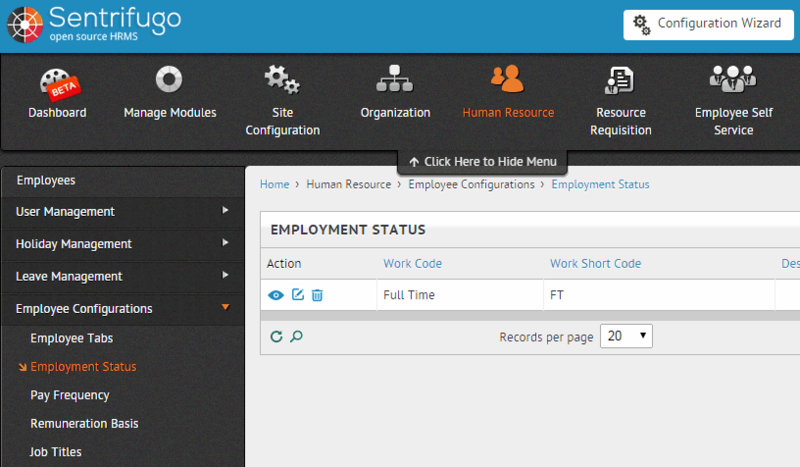 As a free human capital management software, these let you maintain limited number of employees records. Time and Attendance tracking, Leave management, employee info management, various types of employees related Reports, Training history, Qualifications etc. are example of records that these HRMS support. 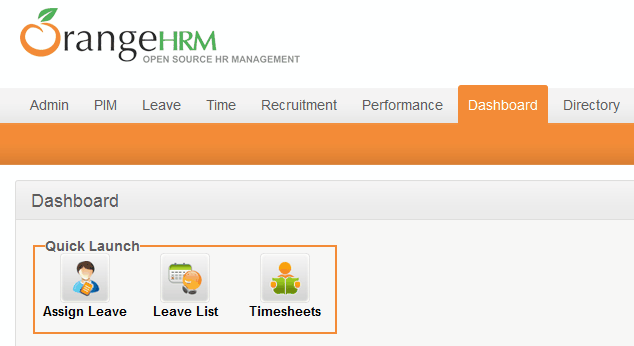 In my opinion, OrangeHRM is a good program as it is quite feature rich. The open source version supports unlimited employees, and provides almost all the features that a good HRMS software should have. Frankly, I am surprised that it is free. You can also try these best free Time Management Software, Money Management Software, and Payroll Management Software. System Administration: The System Administration module provides centralized control to HR Manager to carry out basic HR functions. Personnel Information Management (PIM): Gives the ability to easily and productively store and utilize all of your employee information from a centralized employee database. Leave /Time off Management: This module enables online processing of leave requests and approval for leave related procedures. Time & Attendance Management: This module eliminates paperwork and manual management of attendance and automates timekeeping related processes. Recruitment: This module streamlines HR professional's applicant tracking process for hiring new people. Performance: This module simplifies the business expectations of job performance through employment reviews and self-assessments. Employee Self Service: This module provides employees access to relevant information online, without the need of HR staff. Dashboard: This module integrates information from multiple modules into one place providing user-friendly interface. Almost every module of this human resource software has search feature. In addition to being feature rich, it is also quite easy to use. It gives you admin part, where you can setup various employees, store data of the employees, and provide relevant access to employees. Once you have this free Human Resources software installed, your HR management will become pretty easy. This will provide you a centralized place where you can track leaves, time worked, appraisals, payroll management, and more. All in all, this has everything that you need, and then some. It also has the ability to enter calendar items into MS Outlook automatically. You can choose from base list of departments or add your own. Photos of the employees can also be added to the database. You can create backup of your company from File menu of this free HRMS software. As a security measure, it saves it in ZIP format with password. Various types of reports can be generated as per need. By providing these features, it reduces time spent on administration and also organizes the employees' records in an easy manner. You can manage these modules by selecting or de-selecting. It has a Feed Forward function in Performance Appraisals module, which lets you configure questions to evaluate managers' performance, thus optimizing productivity. It also has a Dashboard that saves time by providing shortcuts of important tasks at one place. Up to 16 shortcuts can be configured for daily/frequent uses. Various types of reports can be generated like: Employee Details Report, Employee Leaves Report, Employee Time Entry Report, Employee Attendance Report, Employee Time Tracking Report etc. For e.g. only allowed users can make an entry in a time sheet for a selected period. The system is highly customizable and is easy to understand. 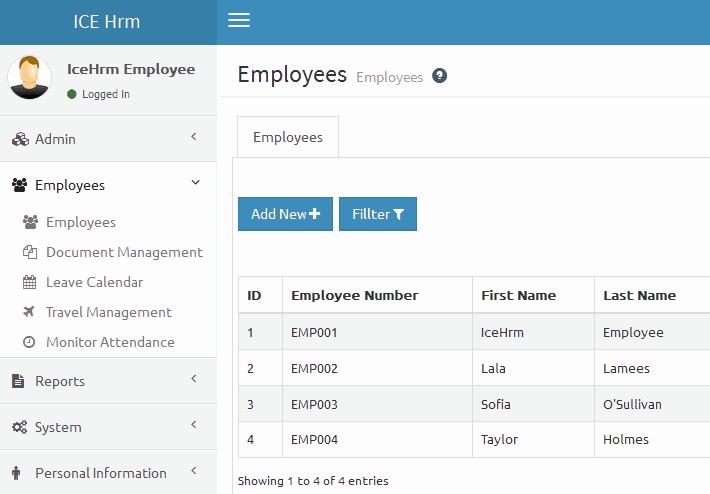 Jorani is a PHP/MySQL based HR Management system. It lets you maintain employees Leave data, Overtime, and other details easily. Start the Apache and MySQL server and load the Jorani from localhost in your web browser. Configure it according to supplied readme/install file and start using it. Notifications by e-mail (for requested, accepted, rejected leaves and new user). Leave report (filtered by department). 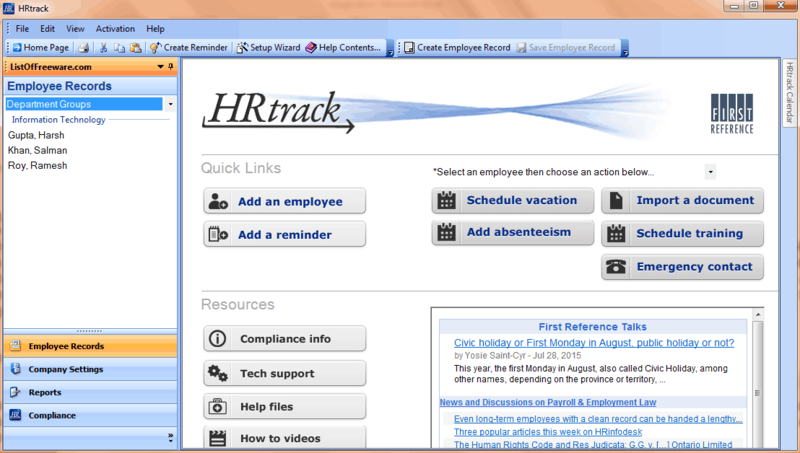 Users with HR rights can edit any leave or overtime request. Calendars of leaves (individual, teams, collaborators, etc.). Available in English, French, Spanish and Dutch.